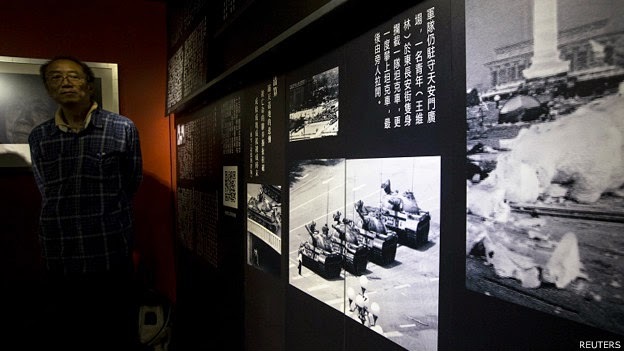 An 800-square-foot museum dedicated to the 1989 Tiananmen massacre has just opened in Hong Kong. It displays a small replica of the Goddess of Democracy statue and hundreds of documents, books, and photographs of that historical event. This is the first museum of its kind in the world. The museum is the fruition of years hard work by the Alliance in Support of Patriotic Democratic Movements in China, an organization that has been hosting the annual candle light vigil at the anniversaries. South China Morning Post reports that the museum is also under a lawsuit threat by the building owner on a dispute in property use.